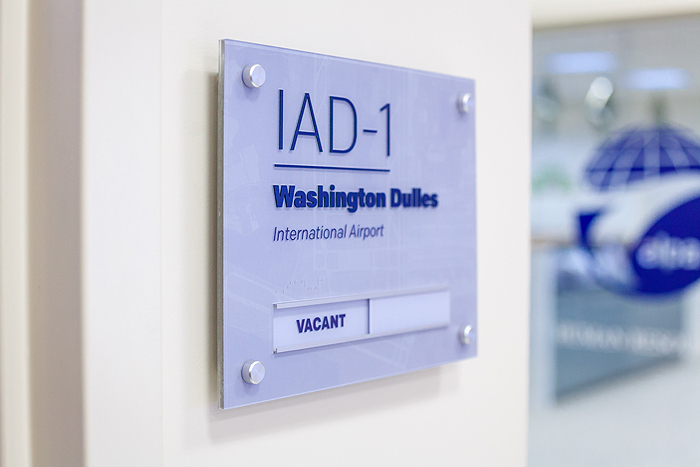 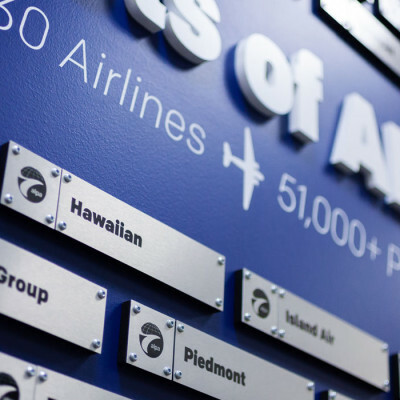 The Air Line Pilot’s Association contracted us to help them designate and direct staff and visitors around their office. 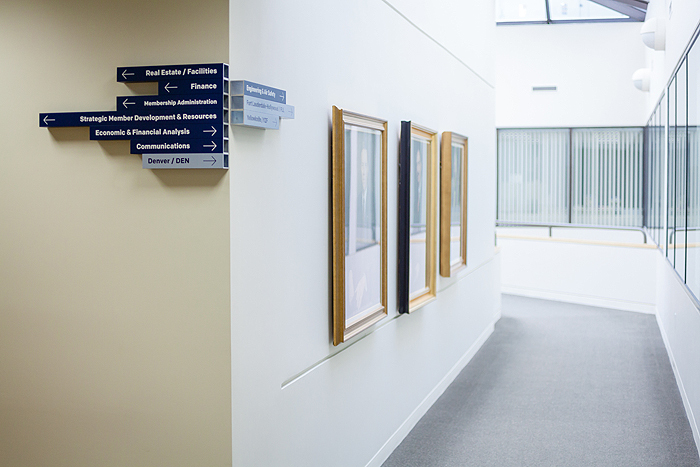 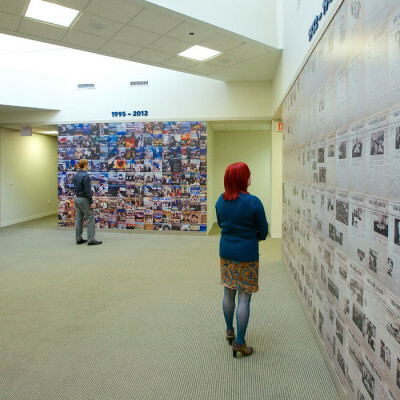 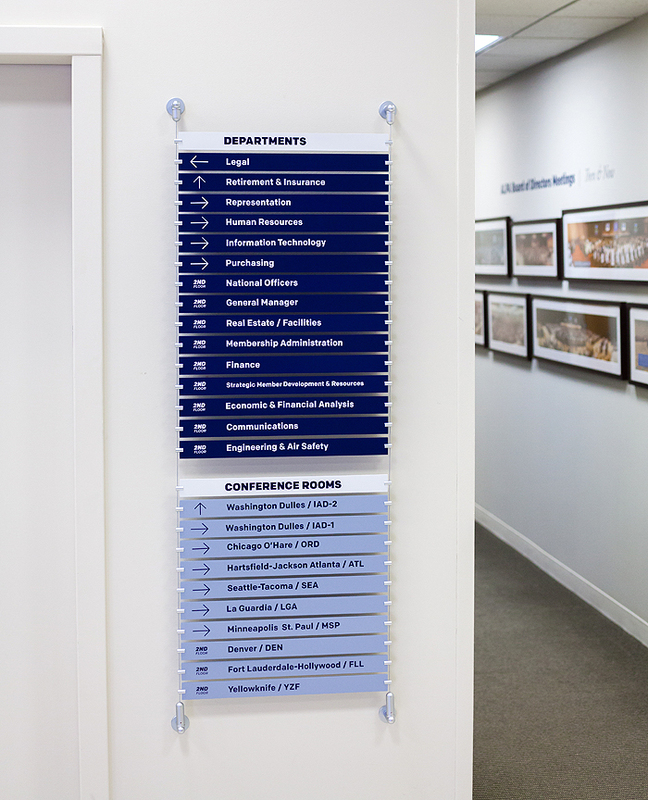 With only building and office nameplates throughout their existing location, traversing the 80,000 sq. 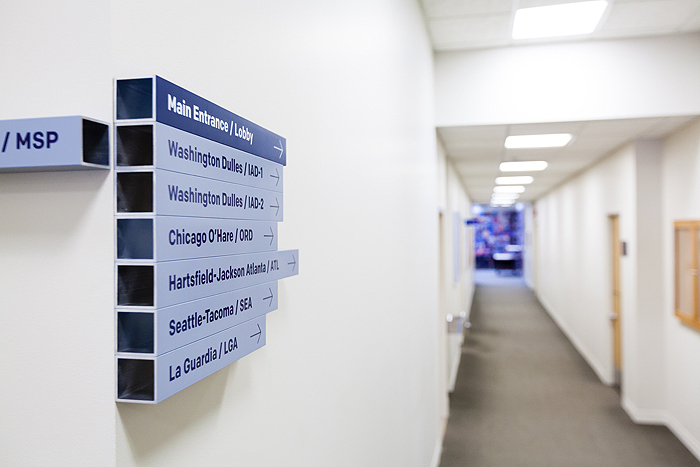 ft. space quickly became a maze. 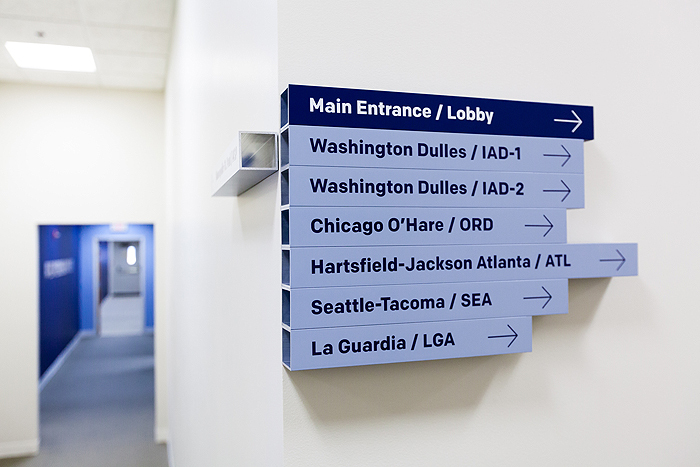 Visitors had trouble finding their way around and staff often got lost when moving to different areas of the building. 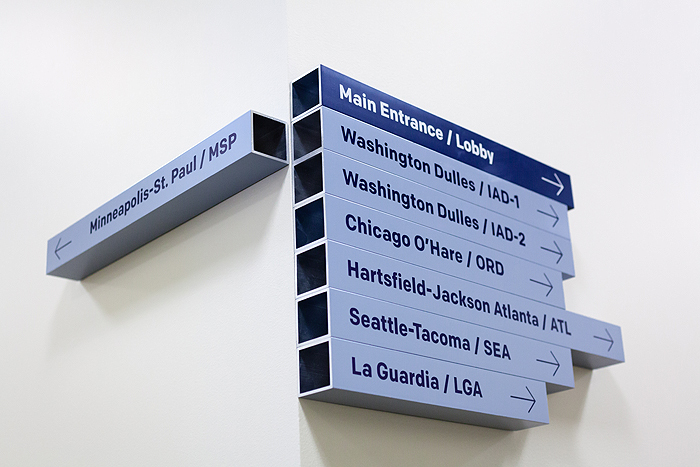 By researching traffic flow and interviewing staff, we came up with an integrated design solution. 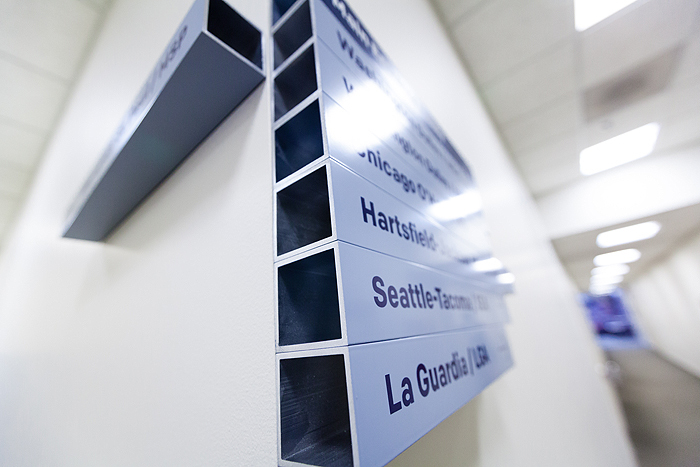 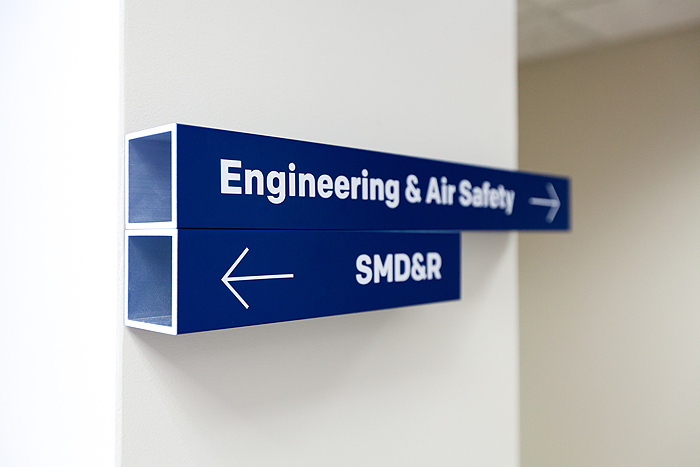 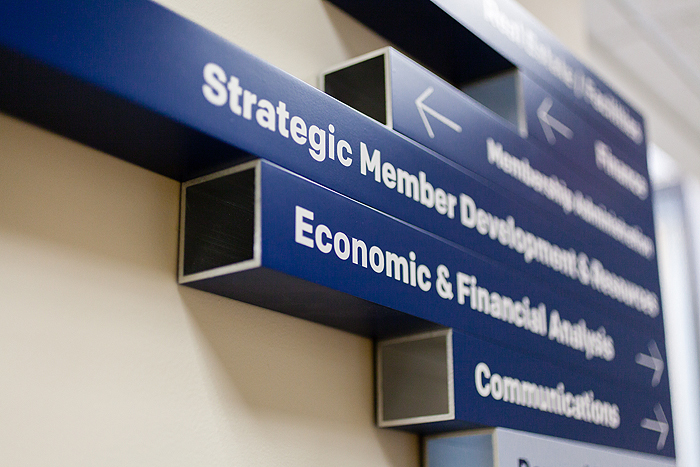 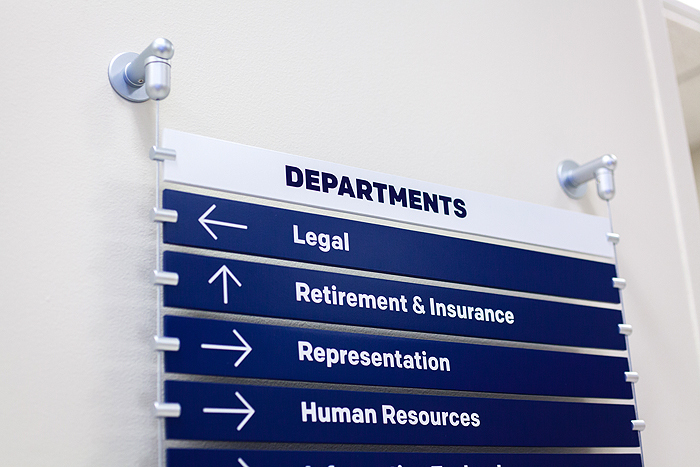 Our plan included elevator directories, directionals and conference room signs, using a mix of custom painted extruded aluminum tubing, cable directories, and acrylic. 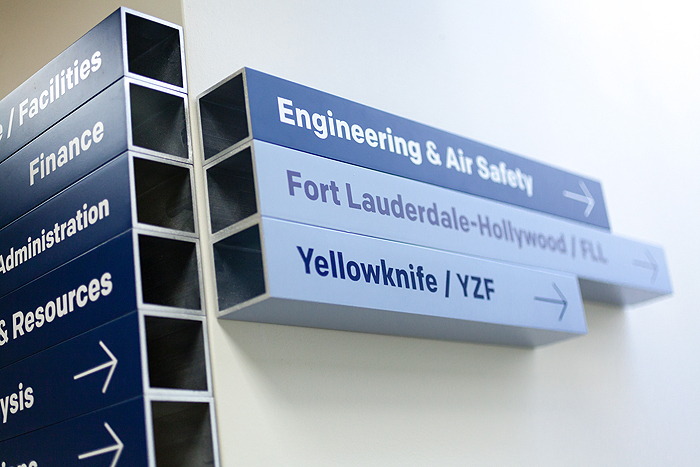 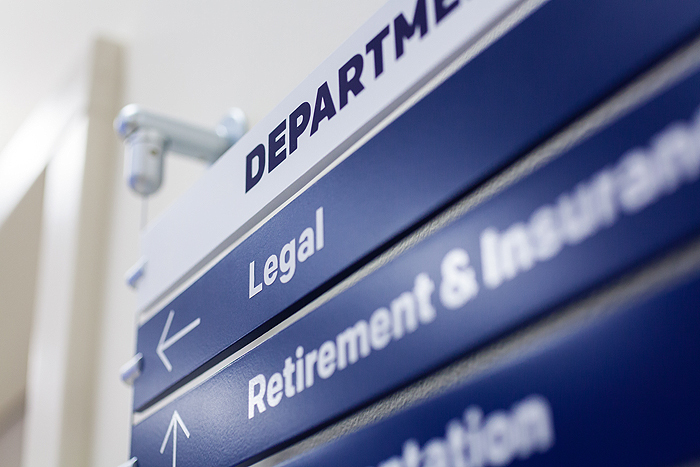 We situated appropriate directional signage at key high traffic locations as well as integrating the aesthetics to match the existing interior exhibits and color schemes.